An earthquake with a magnitude of M = 6.8 earthquake struck today along the coast of Greece, preceded by a M = 5.0 earthquake. 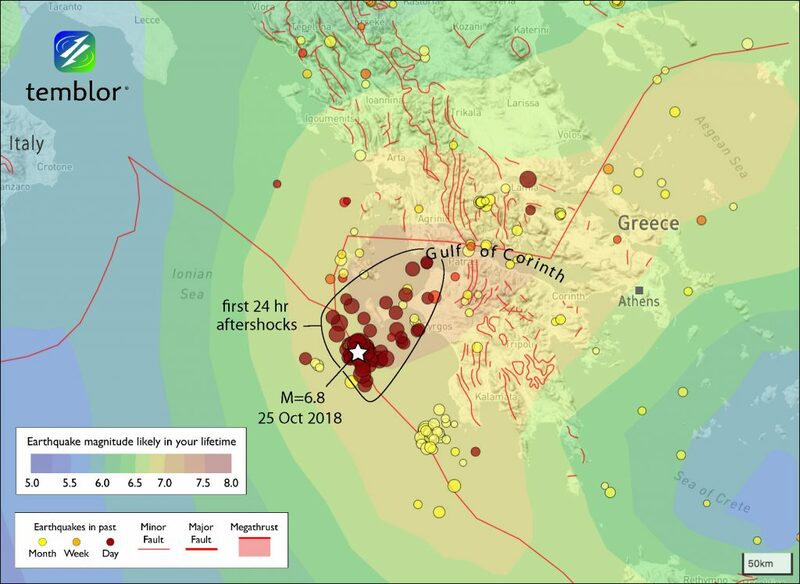 This large earthquake was felt widely across the region, including Italy, Albania, Bulgaria, and Macedonia. . Greece is at the intersection of several different tectonic regimes and is spanned by a zone of increased seismic hazard evidenced by the GEAR seismic hazard model. The earthquake is related to the convergent plate boundary that spans the southern boundary of Greece. The Gulf of Corinth, where the strongest shaking was felt, is the most seismically active site in Greece. Greece is in the middle of a tectonic die, with the right-lateral strike-slip North Anatolia fault striking from the east and the Ionian trench subduction zone converging from the south. In addition, there is a rapid (10-15 mm per year) extension at the Corinth Rift, forming the Gulf of Corinth just northeast of today’s earthquake sequence. The interaction of these different plate boundaries results in overlapping fault systems of different types of faults. The southern boundary of Greece is characterized by the formation of thrust faults formed from compression due to the subduction of the Africa plate beneath the Anatolia plate. The North Anatolia fault is a high slip rate fault (it moves fast) and can generate large damaging earthquakes such as the 1999 M = 7.6 Izmit earthquake. Much of the North Anatolia fault has ruptured in the 20th century and many consider the segment of the fault that runs near Istanbul, Turkey, is thought to be ready to slip next. The map below shows how the North Anatolia fault enters the region and how the subduction zones may be offset by the Kefallonia fault (Kokkalas, et al., 2006). The Ionian trench is labeled “Hellenic Arc” in this map. The M = 6.8 earthquake is in the general location of the blue star. Plate boundary faults are shown with symbols representing the type of plate boundary. Subduction zones are shown with triangles pointing in the direction of motion of the down-going plate. Strike-slip relative motion is shown as oppositely directed arrows. Thick black arrows show relative plate motion in mm per year. Thin arrows with black dots at their base are Global Positioning System plate velocities (reference vector scale is in lower right corner). Hundreds of millions of people globally live in earthquake country. Do you live along a subduction zone or other plate boundary fault? What about another kind of fault? 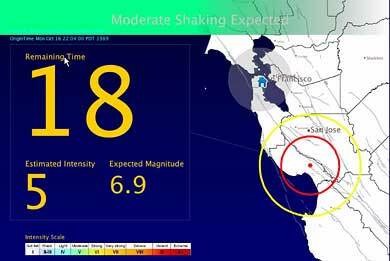 Below is a map prepared using the temblor.net app. Seismicity from the past month, week, and day are shown as colored circles. The rainbow color scale represents the chance of a given earthquake magnitude, for a given location, within the lifetime of a person (technically, it is the magnitude with a 1% chance per year of occurring within 100 km). 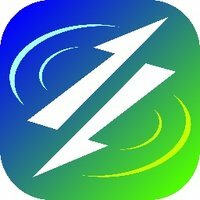 The temblor app suggests that this region could have an earthquake with a magnitude of M = 7.0 to 7.25 in a typical lifetime, and so the M = 6.8 was by no means rare or unexpected. Note how the seismic hazard is increased along the North Anatolia fault in Turkey and follows this fault as it enters Greece. There is also an increased risk of earthquakes associated with the Ionian trench. This belt of increased seismic hazard is well correlated with the tectonic boundaries. 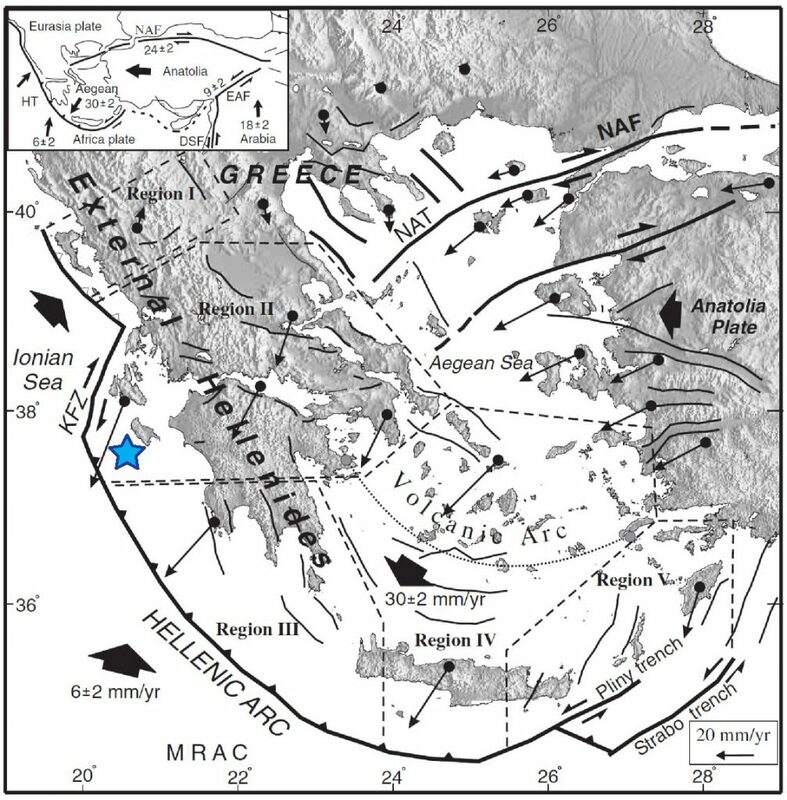 Much of Greece lies within this zone of increased seismic hazard. Global Earthquake Activity Rate map for this region of the western equatorial Pacific. Faults are shown as red lines. Warmer colors represent regions that are more likely to experience a larger earthquake than the regions with cooler colors. Seismicity from the past is shown and the location of the M 6.8 earthquake is located near the blue teardrop symbol.